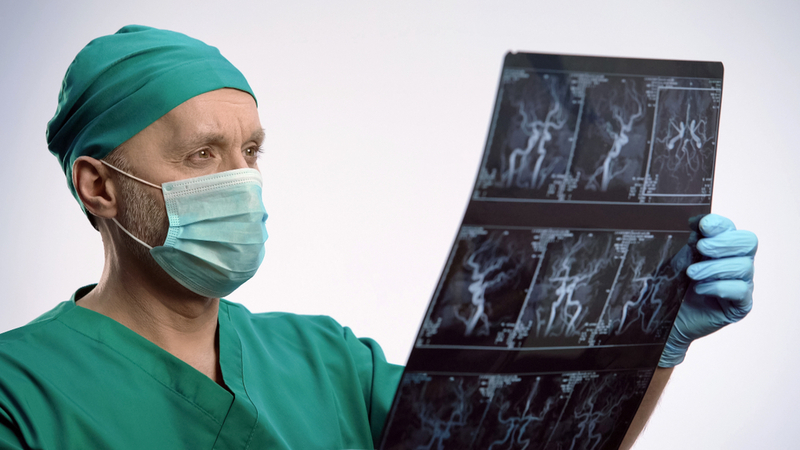 If you have back problems and are suffering from neurological symptoms, then you may be recommended to have a surgical procedure that is actually classed as neurosurgery. A discectomy can be performed anywhere along the spine from the neck to the lower back. It is a highly successful surgery with between 80-90% of patients achieving substantial relief from their discomfort and improvement in their condition. It is usually used to treat back pain caused by a herniated disc. This is a disc that has ruptured and is no longer able to provide sufficient cushioning in that area of the spine. The inner fluid that may have leaked out of the disc may also be irritating the surrounding nerves, causing pain and other neurological symptoms. A discectomy procedure involves accessing and then removing the affected disc/s. This is done by first removing a section of the bone that forms the backside of the spinal canal and a protective roof over the spinal cord. This is called the lamina.A laminectomy can also be performed as a standalone procedure (see below). A laminectomy is a type of surgery that is designed to create space in the spinal canal so that pressure is not placed on the spinal cord or nerves – a problem that can cause significant pain as well as a range of other neurological symptoms including changes in sensation and even loss of mobility. A laminectomy is also known as decompression surgery. The exact cause of pressure inside the spinal canal can vary, but it is most commonly triggered by the development of bony overgrowths, known as bone spurs, which is often seen in patients with arthritis in their spine and those who are of senior age. Spinal fusion surgery is designed to join two or more vertebrae into one single structure. Once they have been fused, you will be prevented from stretching nearby ligaments and muscles that were previously causing you discomfort. If you are experiencing back pain and other neurological symptoms, you could benefit from the expert advice and care of our experienced and knowledgeable neurosurgeon, Dr. Randall Porter. To arrange a consultation to assess your condition and discover the underlying cause of your discomfort, please do not hesitate to contact us or visit our modern, comfortable offices here in Phoenix, AZ.